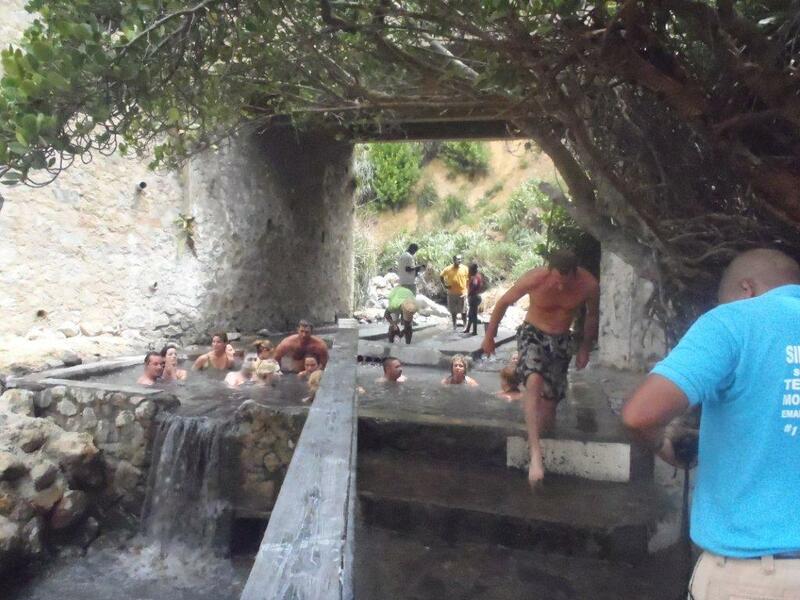 We had the pleasure of accompanying a group of Transat Holidays’ top producers on an educational trip to Turkey. We’ve been to Kusadasi and Istanbul as stops on a cruise a few years ago and while we loved the ruins of Ephasus, I have to say Turkey was not really high on my bucket list. Been there, done that! 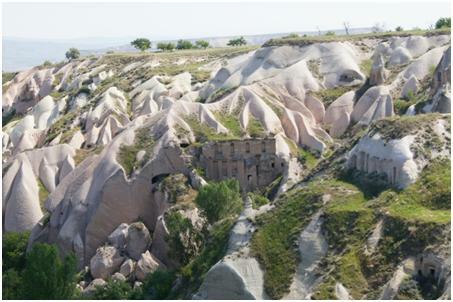 Our tour was for three nights in Cappadocia and four nights in Istanbul. We have been so busy before the trip that I didn’t have any time to research our trip which is usually something I like to do so I don’t miss some really important sight. 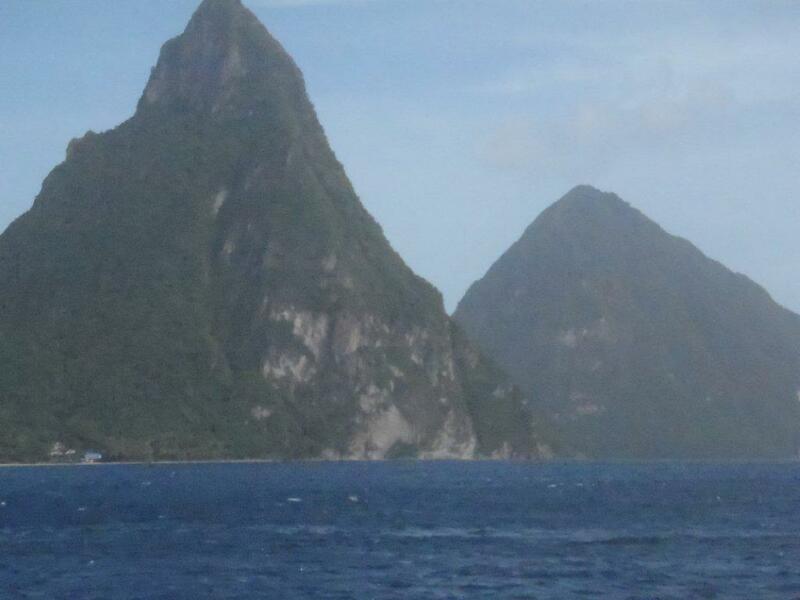 However, I was very comfortable that Transat Holidays had planned the trip and knew we were in good hands. 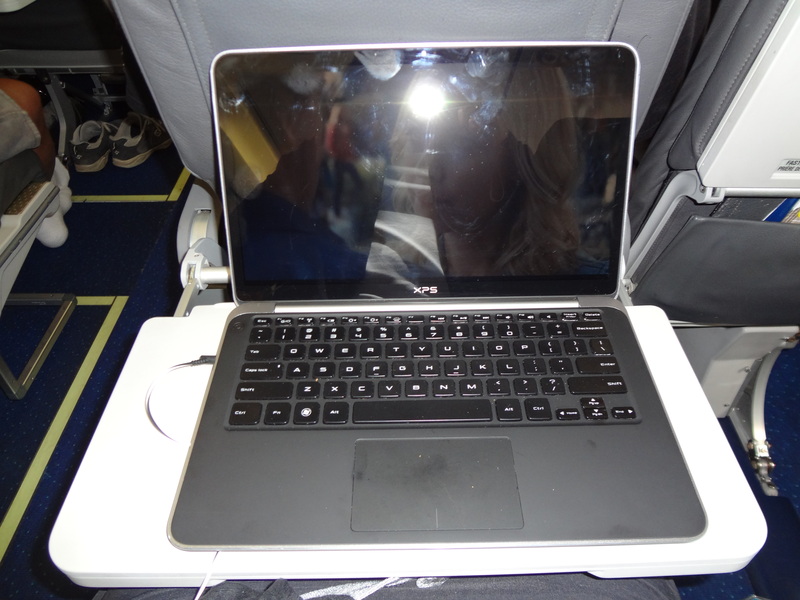 It’s a long flight from Toronto to Istanbul…about nine hours and Transat plane was very comfortable. Transat has announced that they are refurbishing their planes and even though this plane was not re-done, it was still good. The legroom was OK for my 5’9” stature but try to get an exit row if you can if you are any taller. If you can afford it, pay the extra for Club Class (about $300 per person, per direction) and you will love the extra space and the extra service. We did have the Option Plus feature and enjoyed the champagne and amenities like blanket, neck pillow, etc but the best part was the dedicated check in and early boarding feature. Love that! 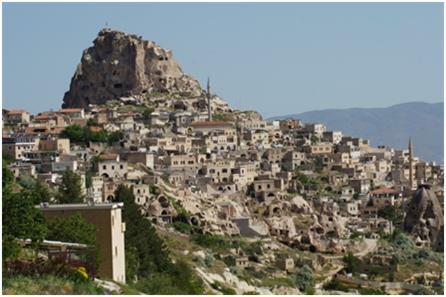 Cappadocia – this region is a result of the volcanic eruptions that formed a large tableland. Together with the erosion of the river and wind over ten thousands of years there appeared the “chimney rocks”, complete wonders of nature. See the pictures below, they are very cool. The first Christians escaped from the persecution of the Roman Empire in the 2nd century B.C. came to Cappadocia and settled here. 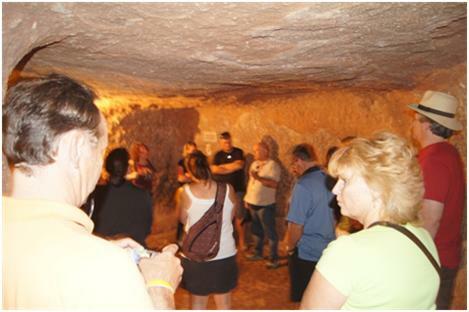 The first Christians created many cave dwellings and even churches. Because the rock is relatively easy to carve out, they also created a system of defense with whole underground cities which they used to escape the persecution of the Roman soldiers. These underground cities in Cappadocia were hidden with gates made in such way in which they couldn’t be easily observed. 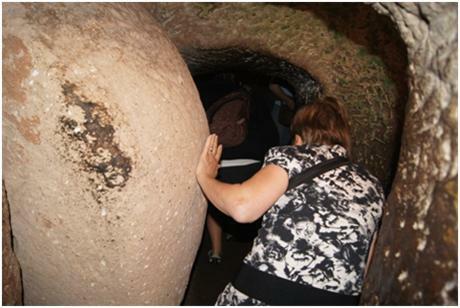 Since they lived in the underground cities for long duration without being able to go out, they developed these underground cities to include provisions rooms, ventilation chimneys, wine production places, churches, abbeys, water wells, toilets and meeting rooms. They also created secure doorways (huge stone rollers) that the Romans could not easily breach even if they discovered the underground cities. 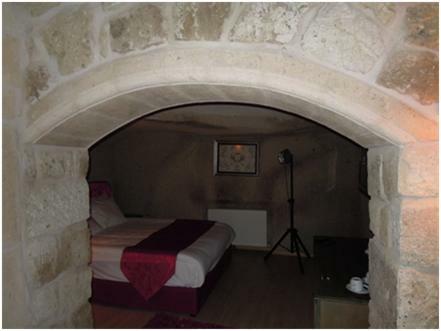 While in Cappadocia, we stayed in a cave hotel, which was an experience in itself. Although quite dark and somewhat damp, it was worth the experience and definitely something you want to do if visiting the area. The food and drink was very good and I was amazed at the quality of the Turkish wine from the area. It was very good and extremely affordable (under $10 per bottle). Another new experience was Raki, the traditional drink of Turkey. Not too different than Ozo, it is a liquorice flavoured drink that you add water to. Cheers! Cappadocia is about an hour flight from Istanbul. 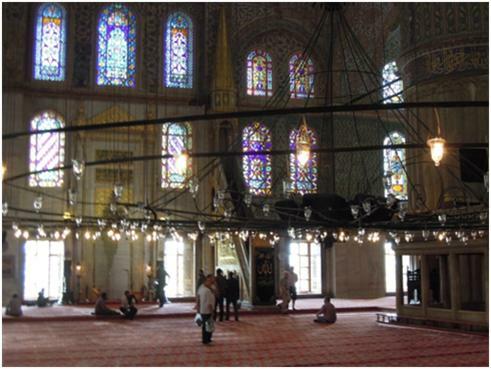 Istanbul – formerly known as Constantinople, is a very old city with a huge amount of history. A very dominant Muslim city, there are many, many beautiful mosques that dominate the skyline, perhaps none more famous than the “Blue” Mosque which we had the pleasure on visiting. Nicknamed for the blue tile used in the interior, you will be surprised at how very large the mosque is. They are very accepting of all tourists during non-prayer times but be aware that you must be dressed conservatively. My shorts didn’t cut it so they simply gave me a wrap to wear around my legs and many of the ladies were given shawl type coverings too. 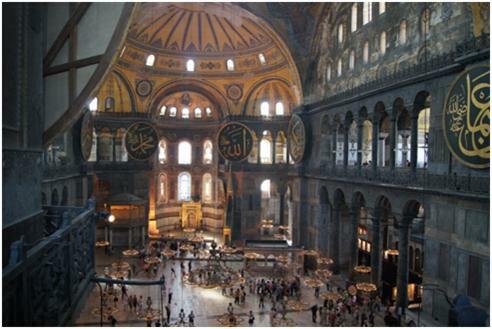 Haghia Sophia which started out as a Christian Church, transformed into a mosque and finally a museum. 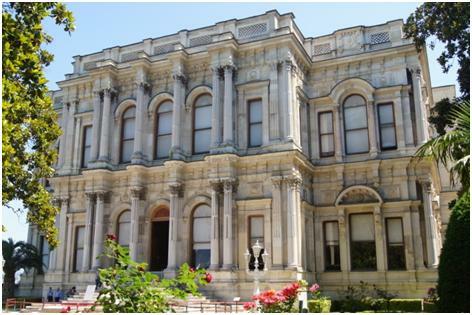 Dolmabahce Palace the sumptuous official residence of the sultans after 1856. We had a marvelous cruise on the Bosphorus as the weather was spectacular, and saw some very expensive homes along the way. Istanbul has some 15 million plus residences and the city extends for miles and miles along the Bosphorus on both the Europe and the Asia side. 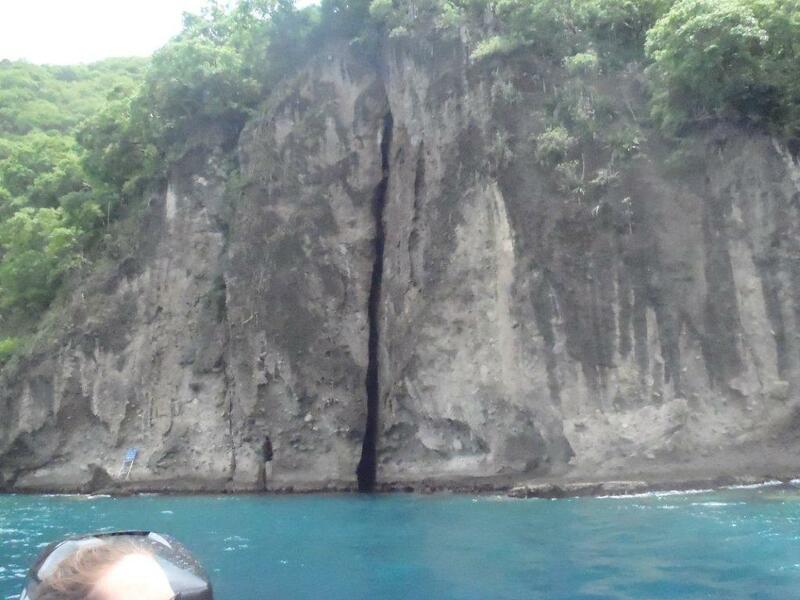 One of our best days was an optional day to Princess Island (on my birthday actually). 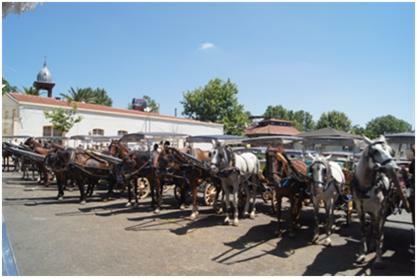 It’s about an hour ferry ride and there is no motor traffic on the island – only horse and cart transportation. During the Byzantine period, princes and other royalty were exiled to these islands. 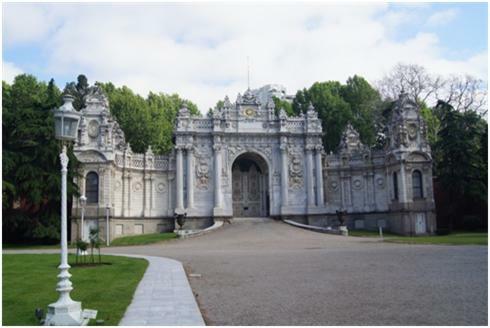 Later, members of the Ottoman sultan’s family were exiled there as well. No trip to Istanbul would be complete to without stopping at the markets. The spice market was a treasure with baskets of every conceivable spice could be found (we bought quite a bit of several kinds of spices – we should be good for a while). Surprisingly, there was a good selection of Iranian caviar, and at what seemed like reasonable pricing to me. Not being a connoisseur, I could have been buying a imitation and so I passed. 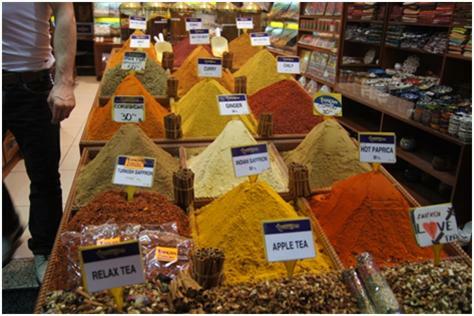 The other great market you just can’t miss is the Grand Bazaar. It’s huge! There are sections to the Bazaar with leather, jewellery, fashion, souvenirs, antiques and much more. You really have to keep your wits about you so you don’t get lost. While the merchants are very aggressive to get you into their shop/stall, they were also very friendly and we never felt threatened. In fact, I felt the Turkish people were all very friendly and helpful. Despite being warned several times to be careful with pick-pockets, it was never an issue. The only time we were a bit nervous, was in the Taxim Square where they were celebrating the start of the Shopping Festival with a concert. There were several buses of riot police complete with water cannons on standby. Thankfully they were not needed. To summarize, Turkey is a country that should be on your bucket list. It boasts an amazing history, fantastic sights, excellent food and drink and marvelous shopping. Transat Holidays has some excellent priced packages. Give us a shout and we’ll work on the right itinerary with you. Remember that I said they were refurbishing their planes? We rode back on one of the new planes and the change is amazing including more comfortable seating and a great in seat entertainment system! Highly recommended! Correna’s Barbados Tourist Board MEGA FAM! It was a long day today. We were on the bus for 8:30 AM to start our villa inspections. We looked at nine different properties today with varied starting price points, they started at $800.00 per night to one that fetched $8000.00 a night! All I could say was wow. We finished off with the inspections and enjoyed lunch at Little Good Harbour. Lunch was at the beach side Fish Pot restaurant, the food was great and the ocean even better. We had a welcome reception in the evening where we meet and mingled with other agents from around the world. We were told there were 278 in attendance, with nearly half of the attendees coming from the UK. Our flight was to Barbados was right on time. When we arrived into Bridgetown we disembarked and walked across the tarmac to customs, we all got through pretty quick and were loaded into the bus to transfer us to the hotel. Our group was split up into two; the first, staying at the Accra and the other half to Oceans Two! I am in the second group – oh my goodness is it amazing! I am sure we have the best of the properties but I will find out a little later as we are doing a site inspection and having dinner at the Accra. Our resort is an EP (European Plan) property. I have a roommate from St Catharines, Ontario, and we are checked into a one bedroom suite with a king bed in the bedroom and a queen pullout in the living room. We have a huge bathroom with double sinks and the biggest shower that features a hand held head as well as a rain shower head. We have a full kitchen with washer and dryer. We have an ocean view with loungers and table and chairs. I would highly recommend this resort. There is a little market just at the end of the drive that has all kinds of beverages and grocery items. Well I have to get ready for the inspection of Accra and dinner! We have Villa Site inspections first thing in the morning so this will be it for today. I left this afternoon for Barbados with a connection in Calgary, and an overnight in Toronto, on WestJet. My flight from Saskatoon Calgary was full, where as the evening flight from Calgary to Toronto only had 61 passengers on the plane. This left nearly everyone with three seats to themselves – awesome! I had asked the flight attendant (who happens to be a Leafs fan, I did offer him my condolences) if this was normal. He did tell me this wasn’t normal and that they didn’t have a slow time this past winter and you would never see a flight that empty coming out of Saskatchewan, yeah us! All the flights were all on time and we even landed early in Toronto, so that was nice as we were scheduled for midnight. The luggage was pretty fast so I just had to walk out the doors to the waiting shuttle for the Fairfield Inn and Suites by Marriott Toronto Airport, in total it likely took me half hour to get my bag and get to the hotel. Getting through security took a little longer as all business travelers were trying to get through as well. Our flight to Barbados is about five hours from Toronto. Our FAM group is approximately 13 people but the Barbados Tourism Board has invited travel agents from all over the world to the MEGA FAM. I don’t know the total numbers and who will be attending as of yet, but it should be a great time. 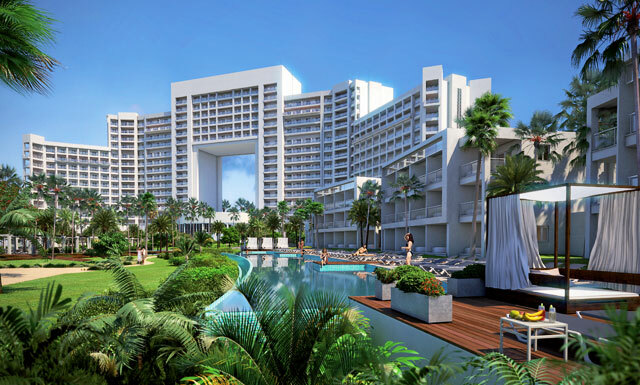 Yesterday we checked out of the Royal in Cancun and made our way to Playa del Carmen to do site inspections of the Grand Porto Real and to check into the Royal Playa del Carmen. Our transfer was with Best Day tours and we found out that the gentleman who owns the Real resorts also owns Best Day Tours, (wow wealthy man)! Our room transfer was about an hour, it wasn’t too bad at all. When we arrived the first thing we did was tour the Grand Porto Real, now I feel like I am really visiting Mexico! The resort has kept with the Mexican architecture and decor; I would stay here in a heartbeat. The beach around the Porto is gorgeous and the property is a block from 5th Avenue for the shoppers and the walkers. Right across the street – I mean right across the street – is the Royal! This is great if you are thinking of a destination wedding or family group. If part of your party has children they would be able to stay at the Porto and the adults can stay at the Royal. 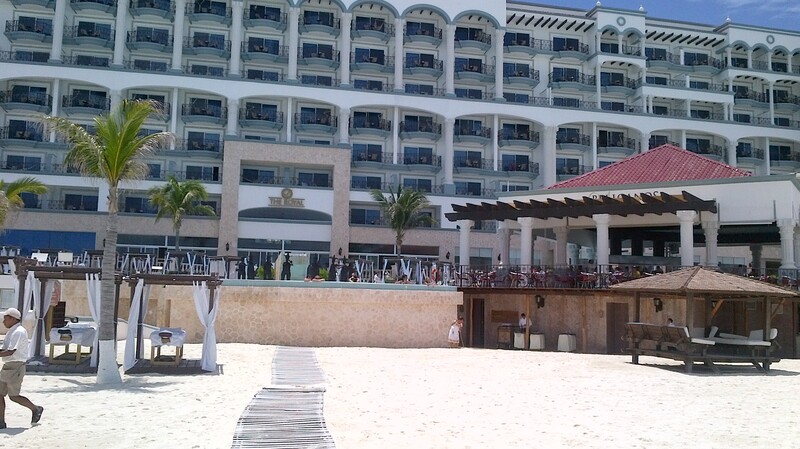 The Royal Playa del Carmen is a much livelier and larger resort than in Cancun. 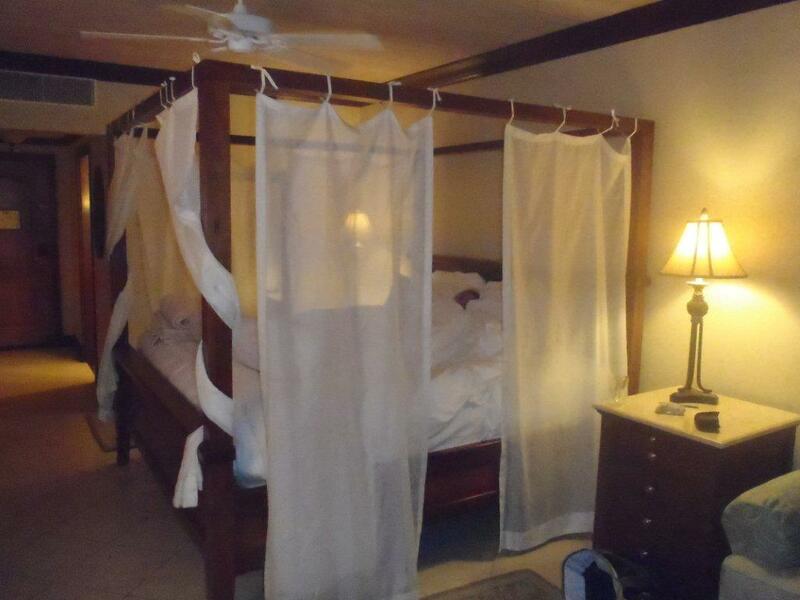 Not every room has the great ocean view and you have more walking in Playa. After only one night my preference is to be in Cancun, smaller quieter and not as noisy. The Playa properties have music and games around the pool where Cancun is more relaxing. 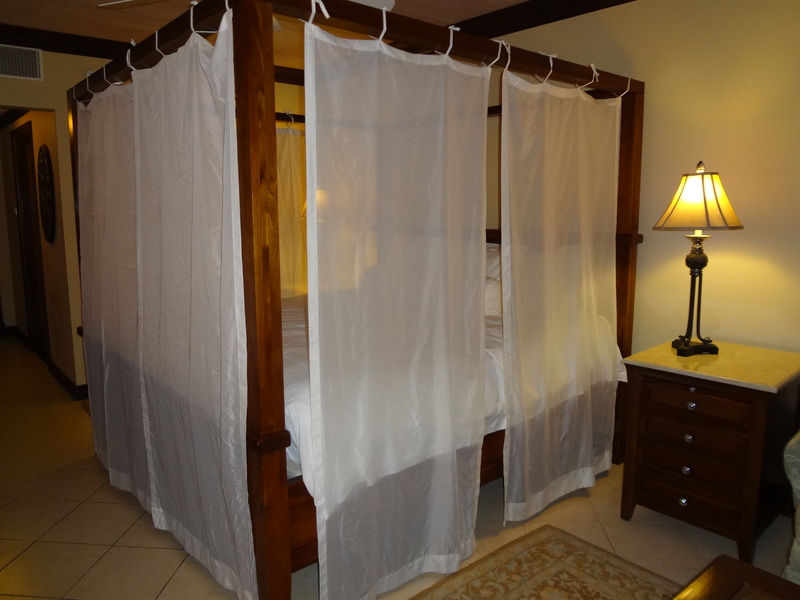 The rooms in Playa are just about identical; the only difference is that I did find is the bathrooms are a bit smaller. Most of our group has main floor suites and we have all found it noisier than our stay in Cancun. Last night we had a mock wedding, reception, and dinner – such a nice treat! After dinner a group of us decided to take a walk down 5th Avenue. If you haven’t been to Playa before, this is your shopping and nightlife street. There wasn’t anything that I haven’t seen before so I came back to the resort empty handed. 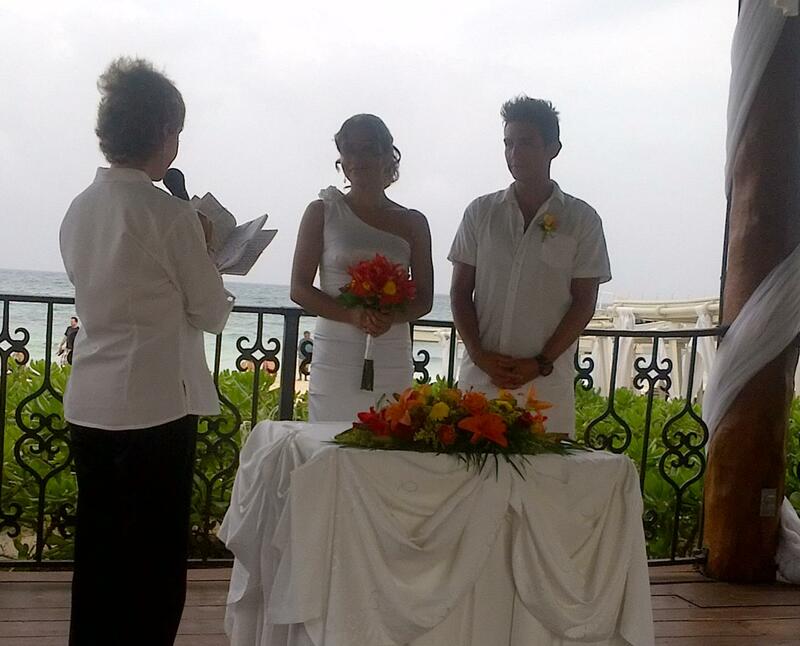 This morning we had wedding and resort training, as well as seeing the Real Playa del Carmen. This property is not sold in the American market as it is not on the beach and is ranked as a 3 star property. I would stay here with no problems at all. The walk to the beach is nothing and honestly, we all need exercise while we are on vacation! This property reminds me of Puerto Vallarta; it has old Mexican decor and great gardens. Our flight is around noon tomorrow with WestJet. I do have a connection in Calgary but will be back at work on Thursday morning. The transfer from the RIU Palace was fine, after a quick tour of the Gran Caribe Real we made our way to the Royal Cancun. We arrived at the Royal around one and did our check-in. My room wasn’t going to be ready until three but they gave us bracelets and we went and had lunch at the beach restaurant called the Pelicanos, and the first thing they brought to the table was chips, salsa and guacamole yipeeeeee! Lunch was good but sure didn’t find burgers and dogs. I did see someone’s shrimp cocktail and the shrimp pretty much hung down past the plate, they were the biggest shrimp I have ever seen. After lunch we hit the beach for awhile until it started clouding up. At three I went to see if my room was ready, I was supposed to be in room 523 but I was put into room 521. I opened my door to see a gorgeous room with a nice big king-sized bed. This is one of the nicest resorts I have stayed in; I am nowhere near a 5 star resort girl (unlike some of my co-workers) 😉 so this all very new to me. I did have a few interruptions in my room as having a honeymoon cake delivered to my room. I guess the guy who changed my room number kind of screwed up and the honeymoon couple got my room – to bad for them they were in a double bedroom and I got their king! 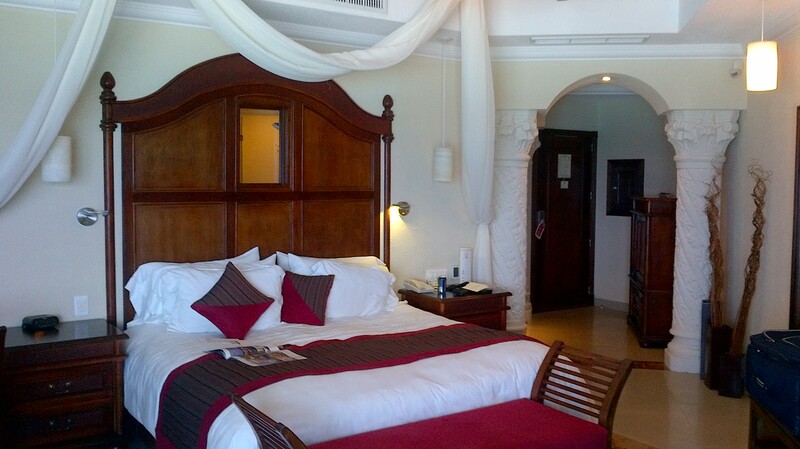 The Royal Cancun – my room! We had arrangements to meet the FAM group at seven pm in the lobby; this was the first time meeting everyone. There are five agents from Canada and six from the USA. We had a little time to introduce ourselves and then we had dinner at Maria Marie, the menu was set with Caesar salad, French pinion soup, prime rib and a chocolate dessert that was to die for. After dinner we watched some entertainment then we pretty much decided that we were not going to let the gorgeous rooms go to waste and everyone said goodnight. Yesterday I flew to Cancun to start my Real Destination Wedding FAM! I came in a day earlier as the flight was much better with WestJet on Friday as opposed to Saturday. I decided to try the brand new RIU Palace Peninsula! For those of you who don’t know Cancun airport be prepared for a wait to get through customs. While I was waiting there were two couples from the northern states right behind me complaining the whole time, remarking how it was their first and will be the only time they would be in Mexico? What is wrong guy with people? You just arrived in a beautiful country with the friendliest people and you have already started your vacation off on a bad foot. While I was waiting for my transfer I started talking with another lady who is also going on the FAM and she is also staying at the RIU, I have a dinner companion and haven’t even left the airport! The transfer that I used was with BestDay, we had a bit of a wait but nothing to serious. OH, I forgot to mention that our flight was 41minutes early – sweet. When I walked into the RIU my first thoughts are that I think they dropped me off in Miami or Las Vegas, now for those of you who know me, probably saw me roll me eyes when I walked in because to me, this is NOT Mexico! 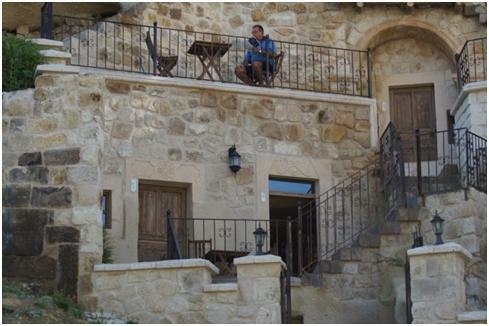 I’m not saying it is a bad hotel – just not a Correna hotel. We had dinner at the Krystal; this is a tapas fusion restaurant. The food was alright but the killer was NO chips and salsa, so we had to check out the buffet after dinner. The beach is alright not huge and no palapas. The pool has tones of loungers and umbrellas. My room was on the fifth floor ocean view, also overlooking the pools. The room wasn’t as large as the other RIU that I have stayed at. The rooms looked stark and cold to me – all the walls were painted a bright white. 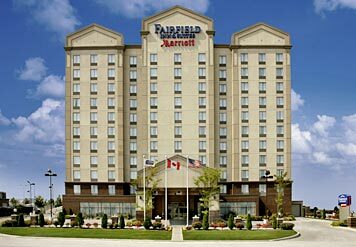 I would probably rate this hotel as a 4.5 star resort, the staff is great and the food was alright. There are a few issues with some of the bars not having enough staff but this will just take some time as it is still really new.